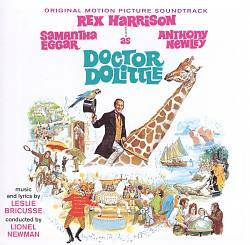 “Something In Your Smile” was written for the 1967 movie Doctor Doolittle. This song was introduced in the film by Rex Harrison, who sings it at the very end of the movie. “Something In Your Smile” was recorded on April 20, 1967 and released that year on the album For Once In My Life. It was arranged by Torrie Zito. 2011: Disc #35 in The Tony Bennett Complete Collection (88697874602-JK34) Tony Makes It Happen!